In the AP’s (very worthwhile) coverage of the data it obtained from Secureworks it reveals at least the fifth piece of deception pertaining to the first documents released by Guccifer 2.0 on June 15, 2016. 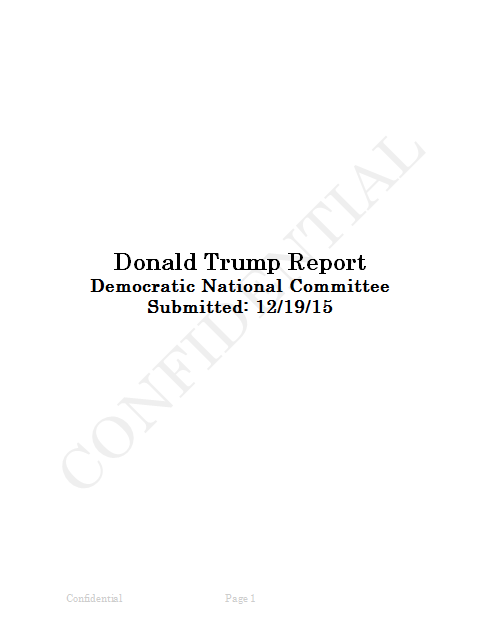 It revealed that Guccifer 2.0 added the word “confidential” (possibly as both the watermark shown on the front page and in the footer) to this document. 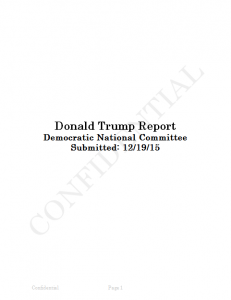 Here’s that watermark, which would have made reporters obtaining the document to ascribe it more value than it had. On top of that change, we know that Guccifer 2.0 deliberately used the name Felix Edmundovich, invoking Iron Felix, the founder of the KGB (though another document invoked Che Guevaro in the same way) in the metadata of the document. This analysis and this analysis compellingly shows, in my opinion, that the other Russian metadata in the documents was also deliberately placed there. Finally, I believe that the addition of Warren Flood as author was also deliberate. In addition, Guccifer 2.0 released these documents as DNC documents when in fact they are either Podesta documents or have not yet been sourced. Now, Guccifer 2.0 in fact didn’t hide some of these alterations. Some were identified the same day the documents were released. But at the time they were interpreted as OpSec failures, rather than intentional deception. To this day, skeptics try to argue that the intentional deception of the rest of the metadata is somehow different than the tribute to Iron Felix (which is a mirror to the assumption in the early days that the Iron Felix was deliberate but the other Russian metadata was not, which I criticized here), without explaining why that would be the case. So contrary to the belief of some commentators, it has long been known that Guccifer 2.0 altered these documents. But I don’t think there has been a full accounting of all the ways that it worked (it’s not even clear we know the full extent of the deception). There were multiple layers of deception built into these first documents, alternately taunting the Democrats who would have known them to be deception, the analysts who mistook them as mistakes, and the press who took them to indicate real value. I suspect there are at least two more layers of deception here. But it’s worth noting that no one was immune from this deception, and it’s likely there are still a few layers that we’re missing here. Update: As Thomas Rid notes on Twitter, one of the first five documents Guccifer 2.0 released is a version of one that Guccifer 1.0 had released.